Evidence of Valley Power’s massive expansion plans for the Packsaddle Narrows Power Plant is on display in Everett. 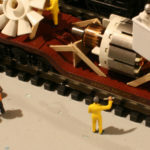 What seems like an endless parade of power generation equipment has been processed through the Team Track this week. Additional deliveries are expected to continue through the weekend. 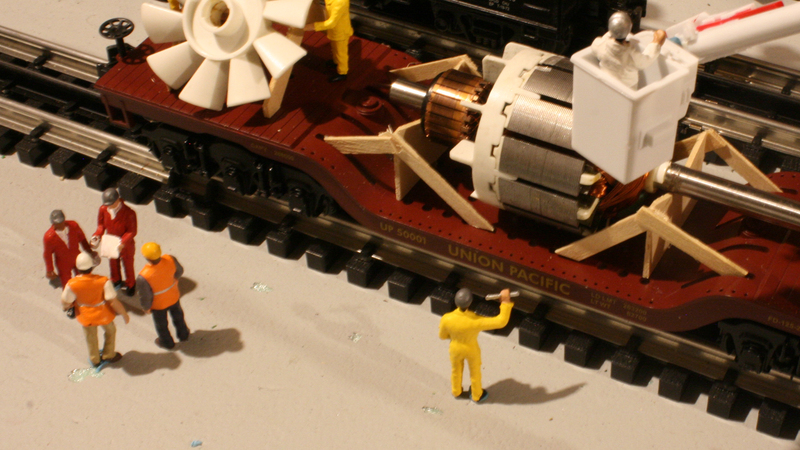 Valley Power receives shipment via the Valley Railway’s Everett Team Track. 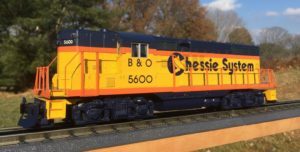 Why not use the more convenient Packsaddle siding? Slugs. 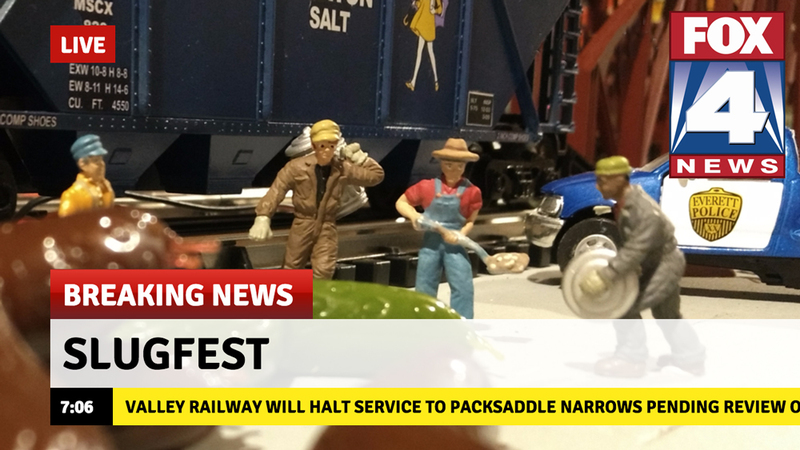 After that incredible mess caused by Slugfest 2017, the Railway eliminated passenger and freight service to the Narrows. 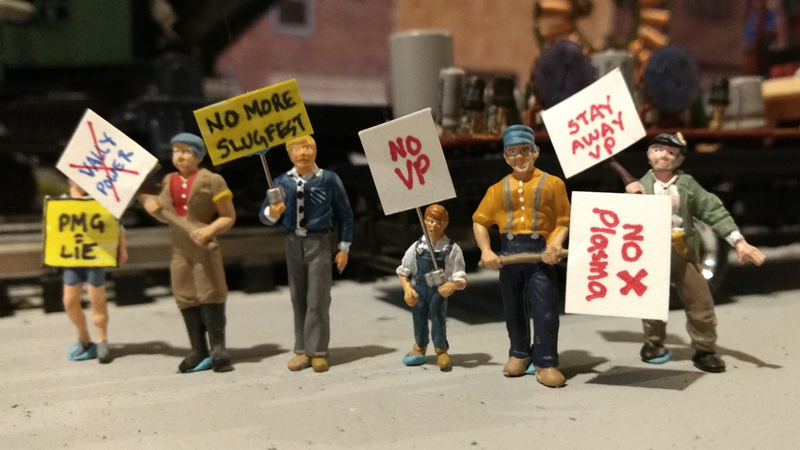 “Quite simply, Valley Railway trains will not stop in Packsaddle Narrows until Valley Power eliminates the risk of reinfestation. I have no additional comments at this time.” – Isaac Reynolds, General Manager – Valley Railway. 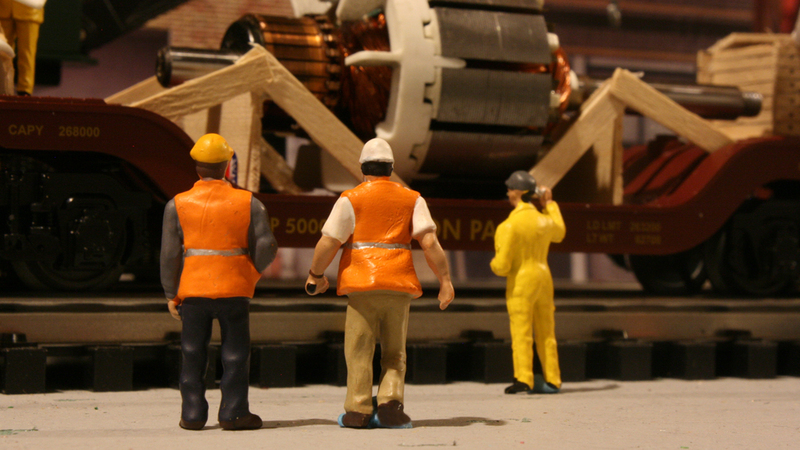 The Railway’s new policy hasn’t slowed down Valley Power’s expansion plans. Company crews have been in Everett around the clock since last Wednesday. They are carefully examining every load before transferring the expensive new equipment to company trucks for the short trip north to Packsaddle Narrows. Today’s shipment may be the most interesting. 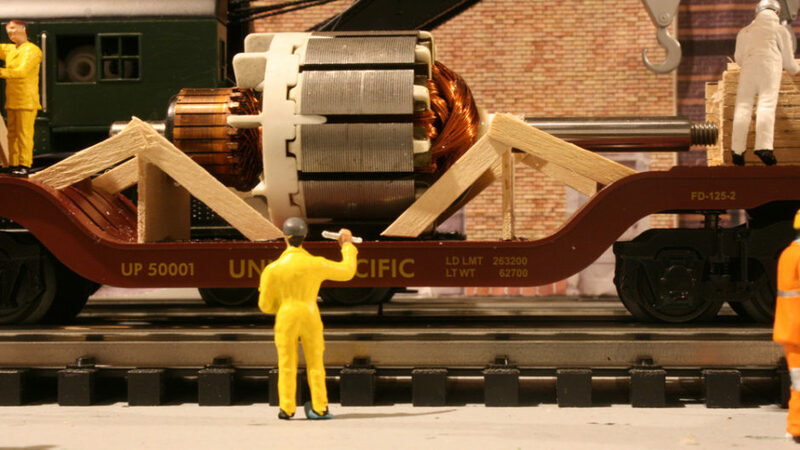 It includes the much-anticipated Perpetual Motion Generator (PMG)! Valley Power hopes to use this controversial piece of equipment to provide continuous energy for the plant’s plasma generators. 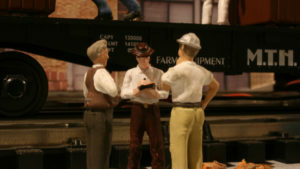 Valley Power technicians inspect shipping containers. Representatives from every department are on hand for delivery of the Perpetual Motion Generator. 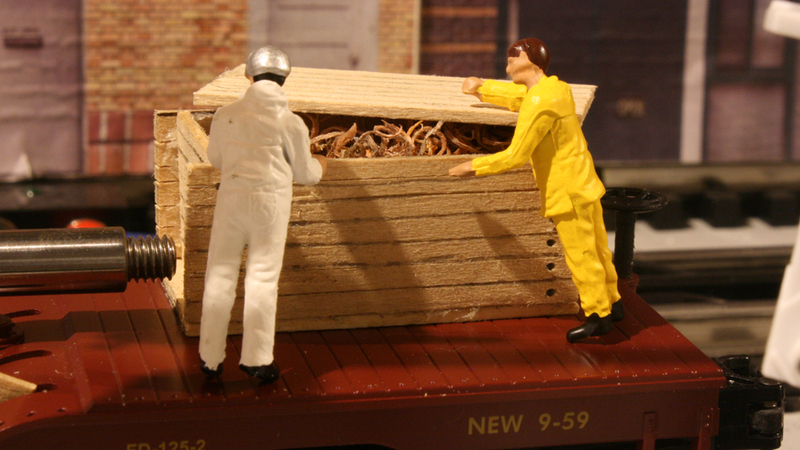 Valley Power’s technical team inspect the contents of a shipping container. The day just got a bit more interesting in Everett. There’s long been skepticism and distrust surrounding Valley Power’s stated goals for Packsaddle Narrows. Some residents even go as far as to claim the very idea of perpetual motion is impossible as it would violate the laws of thermodynamics. They believe this entire PMG narrative is being used to cover up the true purpose of the company’s expansion project. A small crowd of naysayers has taken up a position at the team track with their homemade signs. VP Trucks are still being loaded but they may be stuck here for a while.